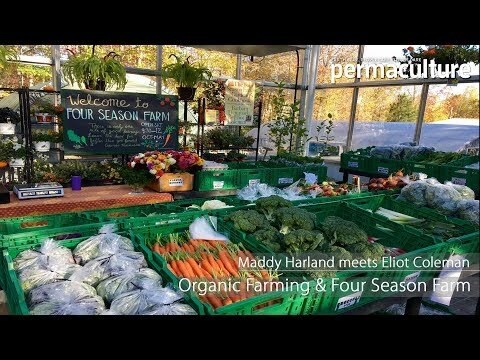 Maddy Harland asks what is spiritual ecology and how does it relate to permaculture? How can these principles be rooted into our lives and what are the opportunities and challenges taking these principles into the environmental, social and spiritual movements? Permaculture is a holistic design system based on observing Nature’s principles that teaches us how to create resilient, regenerative systems, whether they are farms and gardens, communities, businesses or larger ecosystem restoration projects. When I read or hear that the Arctic icecap is melting faster than ever before or that clean water, a rapidly dwindling resource, is being globally privatised it makes me feel like a part of me is dying. Our bodies are connected to the great body of the Earth. The destruction of our world is experienced deep in our psyche, whether we consciously acknowledge it or not. I believe that we are here to bear witness to these extraordinary times and to maintain our gaze on the atrocities meted out to other human beings, to the non-human species who share this planet with us, and even entire ecosystems. I believe that all life has sentience. If we can slow down enough we can hear the messages of Nature. The stones, the trees, the waters, the Four Winds can tell us what we need to hear. We are here to take our place in the world and do what we can to work towards a peaceful, equitable, compassionate, more biodiverse and abundant world for the benefit of the generations of the future and all sentient beings. We are also here to discover more intelligent and balanced ways of living, and to quietly test them out ourselves. We cannot ultimately turn away even though it takes great courage to maintain our gaze. This is a naked and vulnerable place to be. it is a profound experiment in learning. What inspires and energises me? I can about the ills of the world and the systems that exact the damage. Then I make it equally my journey to learn more about the solutions: from the grand, inspiring projects that regenerate whole landscapes to the small techniques we can use in our daily life. I am a forest gardener, an adviser to a number of charities, one that I co-founded. I like to work within the community in practical ways, not only with plants and trees, but also with well-designed people care systems, whether they are personal, educational, statutory, or financial. I will never forget standing by a newly created lake at Tamera ecovillage in Portugal and watching the early morning mist settle on the banks watering the community’s planted fruit and nut trees, and raised vegetable beds. The community had dammed the stream running through the valley and stopped grazing sheep among the dying cork oaks. In just three years, Nature had brought back rare Borelli’s eagles, otters, ducks and amphibians in response to the re-aquification of the land, and the oaks had starting to grow again. I know that when human beings apply themselves to Earth restoration, Nature responds by regenerating at an exponential rate. It is frankly humbling. There is an Aboriginal saying, “Big stories are hunting for the right people to tell them.” My publishing of Permaculture magazine and over 80 books plus websites and YouTubes etc. are a global invitation to anyone to share those big stories. We want to express a practical, creative, diverse vision of possibilities for a world that we actively nurture into existence rather than destroy. We do not want to forget the little stories either, as well as the great ideas of our time and we want to hear about the small things we can all do. One of my stories is my forest garden that 25 years ago was a ploughed arable field without topsoil. It had been all washed away. Now it is a thriving edible nature reserve for both people and other species. When the pain of the world chews at me, I seek balance and equanimity from Nature: the beauty of wildflowers and bees, the cycles of the Moon, the rhythm of the tides. I believe we humans need to cultivate humility. It is the pathway to true stewardship, so culturally at odds with most of the developed world’s history and worldview. I believe that most people are innately good. Somehow as a collective on this planet, we have lost our way. We have become enthralled by a destructive worldview prosecuted by the very few at the expense of our very existence. It is vital that we, together, keep working on the resilient, solutions in whatever way we can, even if it feels like most of the world isn’t listening. That is our challenge. Then, when the majority of people finally wake up to the realities of the Anthropocene, we will be able to offer some of the answers. Spiritual Activism is about the journey, not the destination. The process of our journey is living the change we want to see in the world, but not expecting to see great changes in our lifetimes. It is an alchemical, often invisible, practice that we hope benefits the future, rather than engaging in the drama of today. People & Permaculture teacher and author Looby Macnamara explores the Peoplecare side of permaculture, an overlooked side of permaculture, plus her new book!